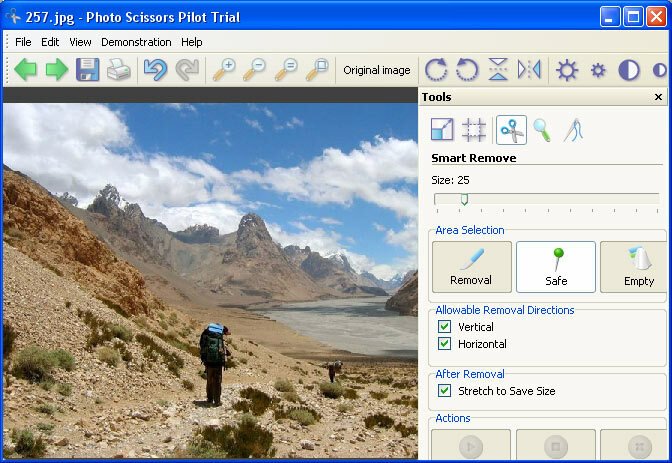 Photo Scissors Pilot - Smart scissors for photo retouching. The Photo Scissors Pilot program allows you to remove unwanted objects from a photo and to change the space between main objects. You can restore the original size of the image after removal of the unwanted objects. Photo Scissors Pilot can be used as a plug-in in Adobe Photoshop.